Tea Tree Soap – made with goats milk and smells sooo good. I love tea tree oil, it takes me back to one of my fav places in the world, Costa Rica! Bellacures butter cream – mmm butter cream! 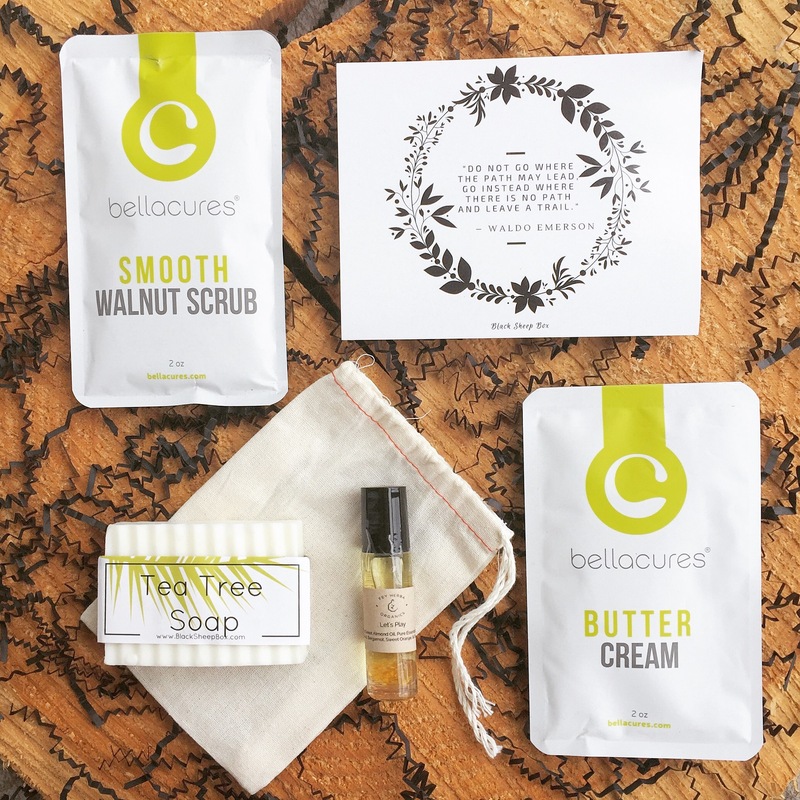 Bellacures smooth walnut scrub – oh smells so good and good sized portion! Fey Herba Organics let’s play roller – loving this aromatherapy roller with sweet Almond oil, bergamot, grapefruit, sweet orange and sandlewood. Mmm love the scent!